members of PAL-LTER, including Richard A. Iannuzzi, Hugh W. Ducklow, and Douglas G. Martinson of the Lamont Doherty Earth Observatory, have released a paper detailing their conclusions. They have found that the wellbeing of the West Antarctic ecosystem is strongly correlated to climate, and that the ongoing climate change will have a profoundly adverse effect on the West Antarctic. 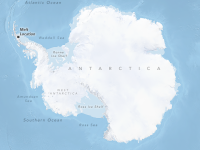 According to the study, the West Antarctic has been undergoing dramatic warming accompanied by decreased sea ice, quickened glacial retreat, and melting ice sheets. The authors posit, “As life histories of most polar organisms are attuned to ice seasonality, recent warming and declines in sea ice have been associated with changes at key trophic levels of the food web.” Furthermore, the study asserts that the shifts start first with phytoplankton biomass – the very bottom of the food chain – then subsequently affect krill, which dine on plankton, and then Adélie penguins – whose diets consist almost exclusively of krill. 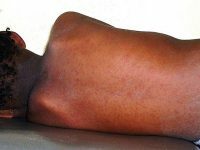 Other top predators, like whales and seals, are also affected, as krill is the intermediary between the top and bottom of the food chain. 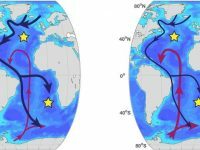 biomass of smaller, younger, [krill] populations.” This is primarily because high food availability means greater reproductive potential and post-hatch success, leading to a thriving population of young krill. The climbing global temperature decreases the occurrence of negative SAM, and increases the occurrence of positive SAM, which is inauspicious to plankton bloom. 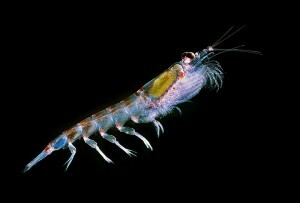 Consequently, krill decline as their food source dwindles. As plankton and krill populations suffer due to the melting sea ice and warm winds brought by the positive SAM, so will animals higher up the food chain. 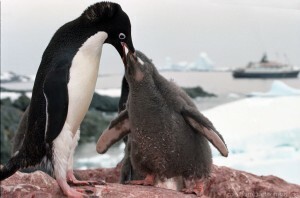 The study suggests, “A decline in Antarctic krill will negatively impact higher trophic levels dependent on Antarctic krill including penguins, flighted sea birds, seals and whales, most notably their foraging effort and reproductive output.” Predator decline has already been noted around Palmer Station: Adélie penguins have declined in the past three decades from krill shortages. The loss of apex predators and producers alike could mean a very different ecosystem in the coming years. a habitat for a large variety of organisms, including sponges, mollusks, oysters, crustaceans, echinoderms and cnidarians, according to the Environmental Protection Agency. As a result, coral loss can be devastating to tropical ecosystems, with many creatures losing their source of shelter and food. 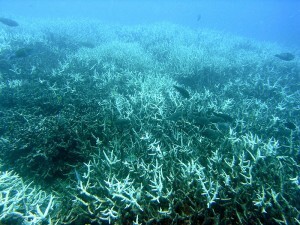 The changing climate means more coral bleaching, and subsequently more biodiversity loss. From one extreme to the other, ecosystems are inseparably linked to climate; as one changes, the other will change as well, whether Antarctic or tropic. With global temperatures expected to rise further, sea ice expected to melt faster, and coral expected to bleach quicker, the future of ecological relations is uncertain.